The path toward clean internal combustion vehicles: what can the European Commission do to ensure clean vehicles in our streets and a competitive European automotive industry? The introductory remarks will be focused on lessons learned from the period 2015-2018 on the issue of emissions regulations and the path toward the new emissions regulations in Europe. To kick off the conference, we will identify the main themes that will be studied during 2019 and 2020 by the European Commission together with all stakeholders. Euro 7: Why is it necessary? What do environmental groups expect from future legislation? 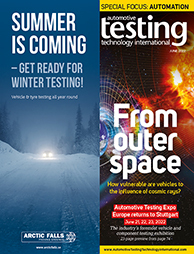 Vehicle emissions legislation in the EU has changed drastically over the last several years with the introduction of WLTP and RDE testing for passenger vehicles. However, does the current legislation go far enough to address vehicle emissions? Is the EU in danger of falling behind China and the USA? This talk will explore some of areas where environmental groups believe the current legislation doesn’t go far enough in regulating tailpipe emissions of both regulated and unregulated pollutants and explores ways that Euro 7 can be used to address these issues. Are emissions regulations now exhausted? The speaker will provide a personal view on the possible content of post Euro 6 regulations, including a holistic global view of its requirements, the manifold aspects that might be included, and the timeline. The presentation will then focus on future pollutants, their generation and how challenging they might be for diesel and gasoline technologies in the near future. Although much of the detail surrounding Euro 7 remains uncertain, Al Bedwell will assess likely scenarios for its impact on Europe's future powertrain mix. Will the move to electrification be accelerated as returns on ICE investment continue to diminish? As new car fleet CO2 emissions continue to move in the wrong direction, with the 2018 provisional figure the highest since 2014, will today's ultra-clean diesels spearhead a comeback for this unloved fuel? The inevitable march toward Euro 7 emissions regulations incorporating Real Driving Emissions (RDE), wider usage profiles and currently unregulated emissions will place pressure on OEMs to develop the cleanest and most efficient ICEs ever. Not only must these engines be technologically advanced, the development process must also be revolutionary if costs and time-to-market are to be kept to a sustainable level. New ICE technology coupled with electrification will be offered by OEMs. To meet development requirements, increased use of virtual tools and Road to Rig (R2R) processes will be utilized. This presentation outlines the multiple challenges of Euro 7, discussing the real-world issues of air quality and greenhouse gas emissions. 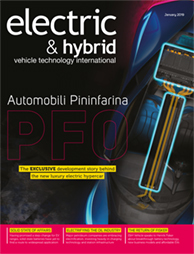 Powertrain solutions are proposed to meet these demands, and new development processes are presented. Horiba is proposing a whole vehicle development, calibration and verification approach known as RDE Plus (RDE+). The latest adaptations in Euro 6 and VI standards have given a lot to society. Emission reduction technology has developed rapidly, leading to a significant overall improvement in the environmental performance of road vehicles under real-world conditions. However, within the mandate of these standards, not all issues could be fixed. Moreover, with the new Euro 6 and VI standards and the new technologies, new problems have also arisen and might need fixing. How can we prevent Euro 7 / VII standards becoming more and more complex? Can we make better use of available data, make things more simple and reduce the test burden? The new data-driven world can bring us new initiatives and new routes toward the future. But can we all let go of our old ideas? Euro 7: Necessary step to resolve the contradictions of Euro 6, or wasteful exercise in the diminishing returns to further regulation? Panel discussion - What should Euro 7 look like? Your chance to discuss and contribute to the Euro 7 debate. What should the levels be reduced to and in what timeframe? What is realistic and what’s simply not possible? 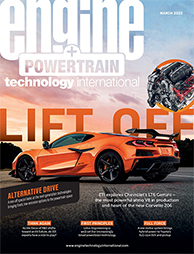 New standards - which powertrain technologies can meet the challenge? Historically, the moderation of the impact of transport has been driven via the measurement of tailpipe emissions. Such regulations have become, with time, more onerous and encompassed more domains of impact: eg, CO2 driven climate change and health. The logical conclusion of this increasing pressure on tailpipe emissions is the eradication of systems with a tailpipe. Does this however answer the questions confronting us? This paper will ask this question and assuming a more life cycle approach look at options for future power trains. Engine downsizing and waste heat recovery - key to meeting future emissions and CO2 regulations? Current and future view. The objective of the EAGLE (Efficient Additivated Gasoline Lean Engine) project is to develop a highly efficient gasoline engine adapted for future electrified powertrains to help improve the energy efficiency of vehicles. The new engine concept should reach 50% peak brake thermal efficiency, as well as reduced particulates and NOx emissions. A consortium of nine partners (IFPEN, Renault, Saint-Gobain Research Provence, CPT France, FEV Europe GmbH, RWTH Aachen, CTP Group GmbH, Università degli Study di Napoli Federico II and Universitat Politècnica de València) from four countries (France, Germany, Italy, Spain) is sharing its cutting-edge know-how to achieve this target. This project has received funding from the European Union’s Horizon 2020 research and innovation program under grant agreement no. 724084. This session will explore the trade-off between fuel efficiency and pollutant emissions in the next generation of high-performance diesel engines, leveraging the peak firing pressure reduction, the adoption of advanced injection patterns and the extensive use of EGR on the entire engine map. It will demonstrate how performance and excellent fuel efficiency with emissions and NVH requirements can be approached. Direct injection (DI) represents one of the most relevant technologies to improve the efficiency of spark ignition (SI) engines and lower their CO2 emissions. Nevertheless, the reduction of the time available for gasoline evaporation and mixture preparation may lead to charge inhomogeneity and, consequently, to an increase in particulate matter (PM) emissions. In such a framework, this presentation will provide a comprehensive overview of the most promising technologies that are currently being investigated by car manufacturers to comply with future regulations in terms of particulate matter and particle number. In particular, the analysis will focus on solutions capable of reducing engine-out PM and PN emissions through an improvement in the combustion quality and innovative aftertreatment configurations featuring dedicated components for PM and PN emission control. Planned updates to current EU emissions legislation (both light duty and heavy duty) will increase the stringency of these regulations. Decreased limit values are highly likely in some cases, but above that, a trend towards fuel-neutral emissions limits (as in the USA) and wider measurement parameters (sub-23 nm PN, additional gaseous pollutants, WLTP sub-zero ambient emissions test, extended RDE/ISC-PEMS boundaries) further complicate the picture. These increasingly stringent requirements have implications for a many vehicle and powertrain design parameters and development and approval protocols. Despite Commission Regulation (EU) 2016/646 limiting driving dynamics, the introduction of RDE conditions unavoidably leads to variability in test results. This talk presents a drive cycle generator that is able to synthesize cycles meeting the regulatory requirements of RDE testing. Several trips have been generated with different driving aggressiveness ranging from minimum to maximum levels allowed by regulations. Then, the dispersion in the NOx emission levels obtained is analyzed. One can expect that future regulations will continue generalizing the RDE procedure; so keeping emission levels below a certain limit in a potentially infinite set of conditions becomes a challenging objective for engine developers. In particular, the traditional engine control approach based on static calibrations may be obsolete for future regulations. In this context, the second part of this talk discusses closed-loop control of NOx emissions. Despite promising alternatives, developing the ICE and liquid fuels is still key for sustainable transportation. Advanced combustion concepts, such as low-temperature combustion, have demonstrated high efficiency while achieving low NOx and soot emissions. This is facilitated by various degrees of premixing of fuel and air in CI engines. To understand the concept, plus the potential and challenges of it, research tools such as numerical modeling and measurements in optical engines are used. This concept, in combination with renewable fuels, presents possibilities for near-zero emissions from the internal combustion engine, and a possible path toward sustainable transportation and Euro 7 compliance. Can diesel powertrains continue to exist in a post Euro 6 world? Can gasoline-fuelled engines be clean enough with battery assistance? Are batteries even the best, most efficient way to improve ICE efficiency? The debate starts here! Increasingly harsh climate/regulatory pressure demands revolutionary ICE improvements. Simply splitting the vintage piston ring-part from its skirt to be operated via a valvetrain-like piston train, the venerable four-cycle can hybrid with two-cycle to become the D-cycle (differential-stroke cycle) having a (variable) four-stroke combustion chamber on a two-stroke output crankshaft (especially when electronically AI controlled). D-pistons can bolt-on design new or retrofit existing engines, four or two cycle, to achieve substantial efficiency (CO2 reduction) and performance gains – our engines verify such results. Moreover, electronic eD-cycle can achieve HCCI with minimal NOx and particulates emissions via freer stroke controls and needed high internal EGR during operations. The presentation will cover the expected regulatory changes from Euro 6d to Euro 7 and identify key technology trends for gasoline and diesel powertrains. The presenters will then move on to identify technical solutions currently considered by exhaust aftertreatment companies such as Bosal: close-coupled SCR, twin-injection AdBlue systems, improved insulation for heat retention, exhaust heat recovery to increase fuel efficiency, particulate traps (gasoline particulate traps mostly), integration of catalytic functions (TWC + GPF). Intelligent Valve Technology or IVT provides a fully electromagnetic valvetrain system that fulfills the promise of earlier attempts at fully flexible systems. By providing individual and independent control at each valve over lift, period, phasing and event shape with the ability to change the target event from one firing stroke to the next, IVT allows combustion to be optimized not only for the specific load/speed condition but also for the immediate circumstances. For example, the selected valve events may be influenced by coolant temperature, catalyst temperature, ambient temperature, driving style, geographic location or traffic conditions. For years, variable valve control systems have become more and more ambitious with respect to the degree of control they offer, because the benefits of more control continue to grow. IVT offers a level of control that led one OE to suggest it would be "the last valvetrain technology we could ever need". Valve throttling, charge motion control – swirl to tumble, variable swumble, controlled inlet gas velocity, LIVC to EIVC switching, roaming cylinder deactivation, valve-event modulated boost – can all be handled by means of IVT. Euro 7 poses the most challenging emissions targets yet for vehicle OEMs in the European market, keeping pace with the most ambitious global standards, reflecting real-driving scenarios and evening out the playing field for alternative power sources. For almost 10 years, MAHLE have been developing an innovative, liquid-fuelled, lean combustion strategy that leverages precise metering and targeted ignition sites to enable brake thermal efficiencies of at least 42%. It also promises to tackle many barriers to success observed with competing technologies, such as incomplete combustion or knock mitigation. MAHLE will present the development pathway to motorsport proven hardware, as well discuss ongoing power-system-level research, that supports this potential Euro 7 compatible performance solution, with familiar levels of reliability and customer satisfaction. VCR systems can make a particularly relevant contribution to CO2 reduction on the path to Euro 7. No longer just theoretical, there are now already serial implementations of VCR technology with a very high degree of development maturity. Dual Mode VCS is a special solution in which the VCR mechanism is integrated into a connecting rod. With this conversion it is possible to adjust the length of the connecting rod in two steps and to change the compression volume. This solution can be integrated into existing engine families without major adjustments to the engine architecture. This makes it possible to continue to use existing production lines without having to make major investments, making the Dual Mode VCS a cost-effective solution for significant CO2 reductions. Panel discussion - Lowering emissions by using more efficient and accurate measurement, testing techniques and technologies. 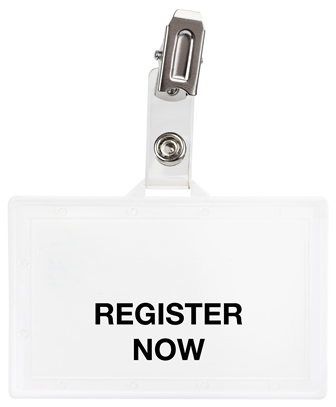 This will be a joint panel discussion with The Powertrain Testing Conference audience.